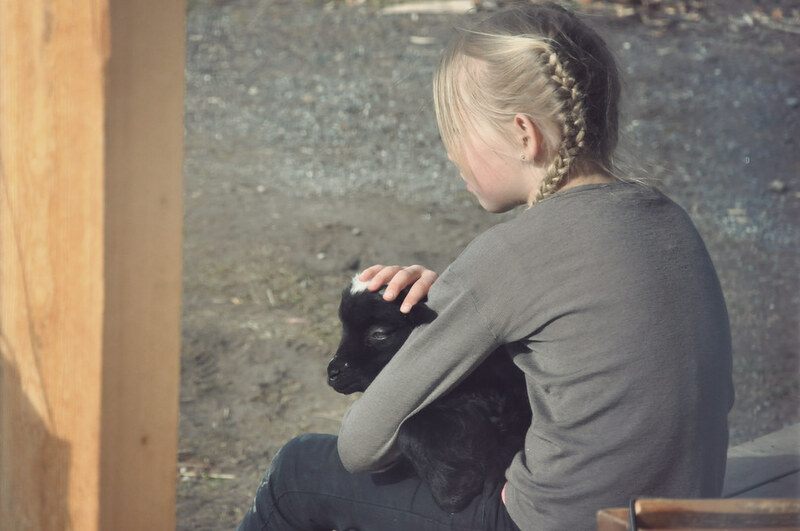 I looked out the window, and luckily I had my camera at hand, because there was a little moment of everyday magic: Ronja, with a lamb in her lap (the one we call Lillebjørn), sitting on the front porch in the afternoon sun. 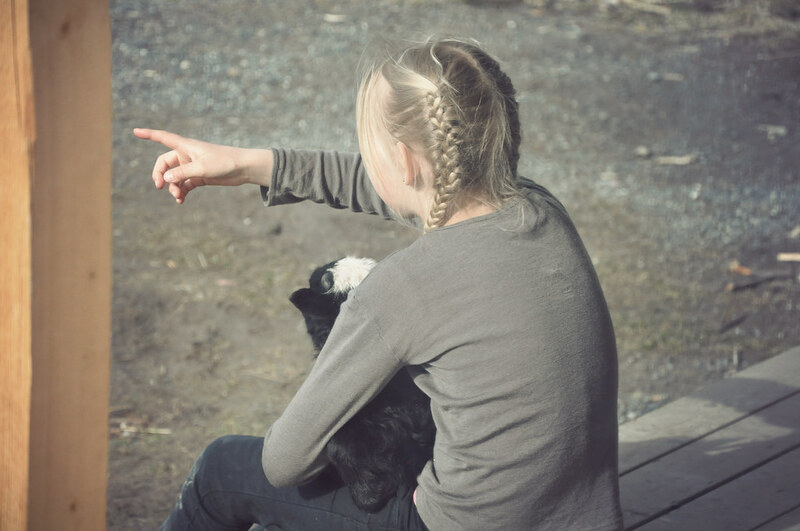 She chats away to him, points at things, scratches him, looks out on the view. 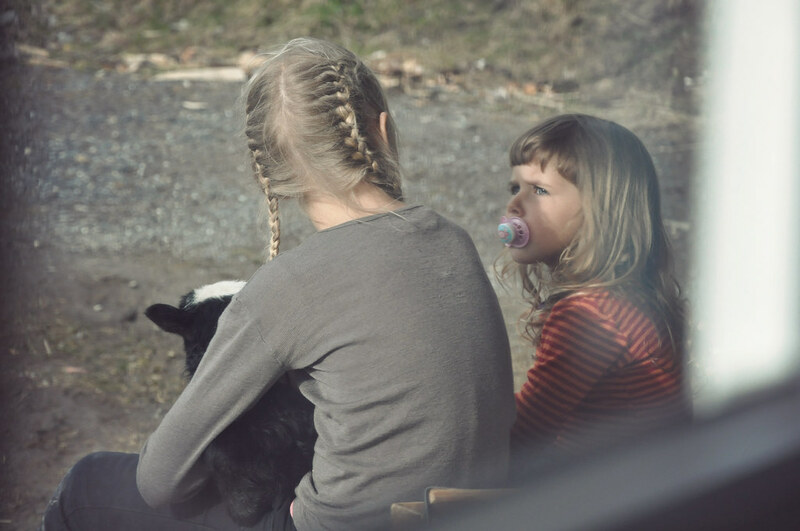 After a while her little sister joins in, and there they are, my girls, sharing an everyday experience without any idea of the beauty of it. Only their mother sees that, except she has tears in her eyes so she doesn't really see much at all. 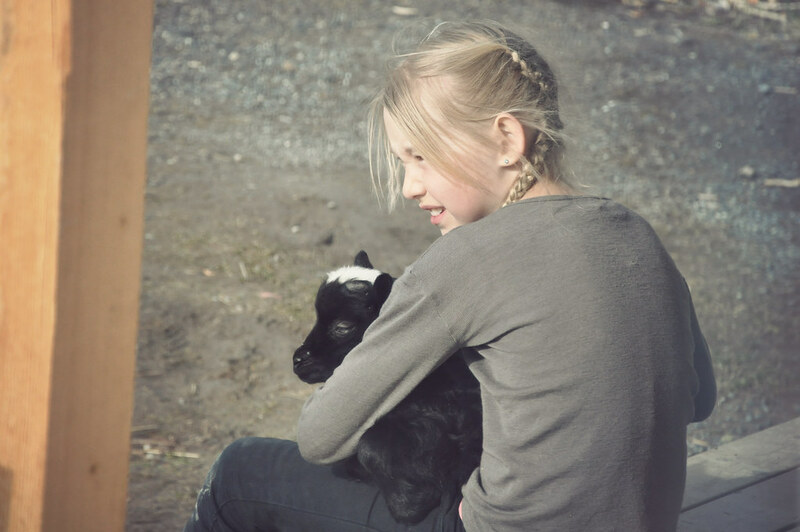 Children do not see the world as beautiful, they are just in it, naturally, without distance. It is only us, the grown-ups, the aliens, who constantly step back and regard the world, and see it as if we were far away, as if it were a painting, as if we need to describe it. I wonder when that shift happens?